Dismantling Federal Assistance to US Elections — Good, Bad, or Ugly? The U.S. Congress is in the process of dismantling the Federal agency that provides assistance to the local election offices that run all U.S. elections, and to the states that oversee them. That is the U.S. Election Assistance Commission (EAC), a small agency that’s not well understood by a great many people — including several who have been asking me, and other election technology experts, whether dismantling it is wise, and what the effects will be. I aim to answer all those questions, but in multiple short segments, of which this is first. I want to first lay out some of the issues that people need to decide for themselves whether it is a good or bad idea, or whether there are consequences that could be ugly. Then in other segments, I’ll get to some of the functions of the EAC that will be missed when it is gone, and the consequences of the gaps created by EAC’s exit. How you might think about dismantling the EAC is of course largely driven by what you think its function and value is. One of its original functions was part of a critical response to the hanging chad filled election dysfunction of the 2000 election — a good chunk of Federal funding to help states replace flawed voting systems with ones that didn’t depend inconsistent human interpretation of ballots (think of those photos of Florida election officials squinting at punch ballots to see exactly how the chad was hanging). A major function for EAC was to manage the disbursement of funds to states for eligible projects including but not limited voting system replacement. That’s one reason why it might be good to dismantle EAC with a “mission accomplished” status: those funds are long gone, and the post-2000 voting replacement is finished. But what about EAC’s other election assistance activities? To be sure, states and localities are getting some ongoing support in terms of election management resources, research and data, and a small batch of ongoing grant money to disburse. But is it vital? How much value is really being delivered to EAC beneficiaries in state and local government? Clearly, some in Congress and elsewhere don’t think that the ongoing value is high, and most of the value desired by the original Help America Vote Act (HAVA), that created EAC, has already been delivered. As a result, I think that it’s not a bad idea, and not even ugly, if you consider the value of the EAC in the original context of HAVA and EAC’s original mission. But that was well over a decade ago and a lot has changed. In following segments, I want to highlight some of the functions of the EAC that have evolved over time, and have become very important — indeed visibly very important in the last year. That change over time, the public visibility, means that a couple odd corners of EAC’s original mission might be quite important indeed. And, as EAC is being dismantled, there are important questions about how states and localities might or might not be able to pick up the slack in these important areas. Here’s a teaser for those changes. Just in the last year, the public at large has learned what election experts have known for a while: the current voting systems (mostly paid for by HAVA) turned out not to be as wonderful as hoped, are wearing out, needing replacement, and were not and are not designed to be robust against manipulation against state sponsored adversaries. In short, we now know that U.S. elections are a target, a national security risk, and they run on antique insecure technology. What’s EAC’s connection with that? More next time. PBS Newshour reporting on election cyber risks offers a good roundup of a handful of notable cyber-risks, but also contains some basic misunderstanding of how election operations actually work. While appreciating the reporting as a whole, here is my list of some mistakes. Tied for first in misleading points is the claim that “Some experts believe this tactic may have been partially responsible for the voting irregularities witnessed in Florida during the 2000 election.” The tactic in question is actually a demonstration hack developed by Harri Hursti. Lots of people have lots of theories about Florida 2000, but I don’t know any election tech expert who believes that there is any evidence of this hack having actually been used to effect Florida’s deciding vote Bush/Gore. No, the FBI did not issue “an alert stating foreign hackers had infiltrated state election systems” but there was an FBI advisory on attacks on state-operated voter registration systems. The “Targeting Activity Against State Board of Election Systems” was about data exfiltration, not takeover of the systems themselves. Attack yes, infiltration no; registration systems, yes, “state election systems,” no. Yes, the DDoS attack on Dyn has raised awareness of how vulnerable so many systems are to these types of temporary take downs. But “flooding multiple polling stations” isn’t relevant because most polling places are not connected to the Internet, and a network outage wouldn’t affect voting operations. The same is true of “computer where regional votes are tabulated could delay election reporting” because these computers – “election management systems” or “tabulation managers” for 2 common terms for them – are not connected to the Internet. In fact in many states that would be illegal. The part about the Dark Web being used to sell pilfered voter records sounds scary, but the reality is more mundane. Every state has methods for public access to an extract of the voter database; these are essential tools for parties and campaigns, and there is an active niche market for information services on top of this base data. If some enterprising Dark Web denizen can sell $300 copies of public data sets that cost $100 or less to obtain, that only tells us that gullible buyers exist on the Dark Web, too. But it is true that voter records can be abused to impede voters. However, calling “voters to change the location of their polling stations” is the least efficient way to abuse this information. Political operations have been doing “caging” attacks for years, for example, and online automation of these attacks is real concern. Max Kilger is right about “You have to look at attacks at the intermediate stages,“ but not so much “where there are computers tabulating results from around a state or a county.” It’s purely a county or other local level responsibility to aggregate vote tallies from early voting, polling places, and centrally counted ballots. This is supposed to be entirely offline, so attacks need to be physical. Sure, states do collect up results data from counties, and certify election results, but the source data lives in the localities. I’d like to think we’d notice if a state’s vote totals for some reason did not equal the sum of the numbers published by each locality. Not related to elections were a couple of misleading comments about critical infrastructure. 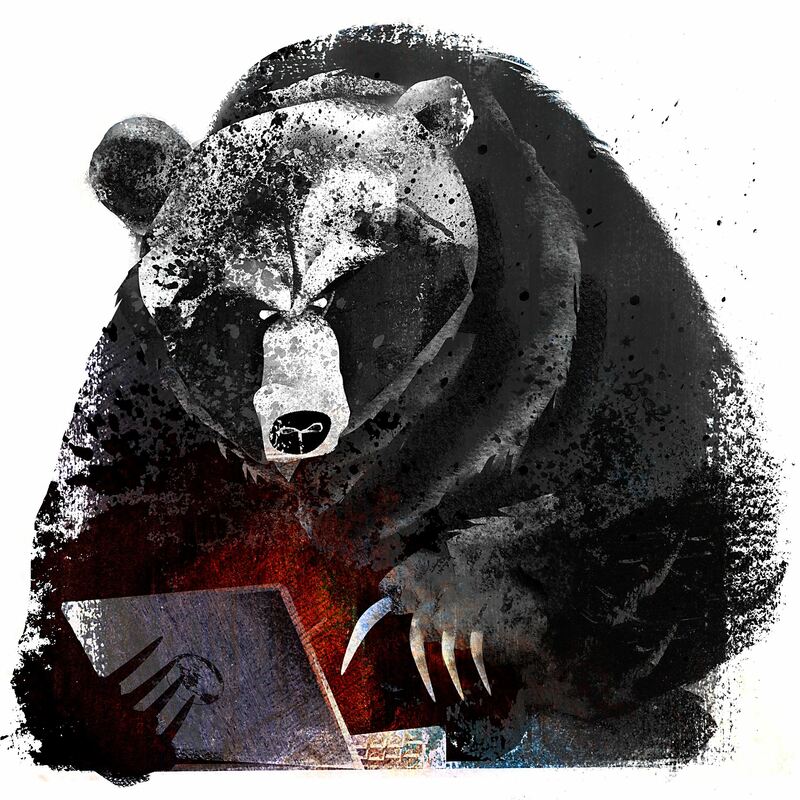 Yes, the energeticBear/dragonfly attack successfully targeted energy and power distribution operators’ corporate systems. But “infiltrated power grid” – no. Takeover of the actual grid’s industrial control systems (ICS) is now considered a cyber act of war. Hasn’t happened. Lastly, and also tied for first, is a very unlikely speculation of a dragonfly-like attack on voting machine vendors. 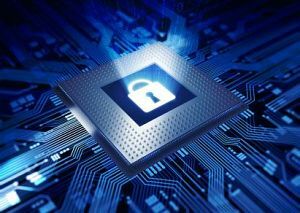 Yes, any vendor’s corporate operations can be infiltrated with the intent to tamper the vendor’s products in the pre-manufacturing stage. Voting system vendors are not immune to those attacks, but the products in use today are. Manufactured a decade or more ago, many of the attackers were probably in middle school at the time. And the ability to set a logic bomb used only in a specific election years afterwards is certainly a capability that today’s nation state cyber-operations have – but 10 years ago I have to doubt. So, that’s 9 points that I take exception to, but let me close to acknowledge that overall, the PBS report covered as lot of ground for a wide range of threats. My goodness, the doom and gloom about paperless voting machines seems palpable recently. Amidst concerns about election “rigging”, I hear worries that the lack of a “paper backup” for some DRE voting machines might create fundamental issues for election verification. Goodness knows I am not a fan paperless voting of any kind, nor of the current generation of DREs generally. But the current media blitz of fear, uncertainty, and doubt (FUD) is getting disconnected from the facts. If this post of “back to the facts” sounds like venting, well, maybe it is just a bit. Here’s one bit of flotsam in the news stream that floated by recently, and struck me as odd – dinging paperless DREs as lacking a basic “safeguard” of a paper backup. Well, not exactly. It’s not that paperless DREs lack a safeguard; there are plenty of those, too many. What they lack is fundamental feature – an actual ballot from each voter. By now, finally, most people realize it was a Really Bad Idea to have voting machines that threw away the ballot that recorded each voter’s intent. We tossed out the ballot baby with the hanging chads bathwater. It’s kind of like saying that a “brakeless racing bike” is missing the safeguard of a way to stop, when in fact a pair of brakes is a fundamental requirement for a racing bike. You could still ride it, but “safeguards” is what you’d need to compensate for this basic omission: limiting riding to only over flat ground, with riders wearing shoes that work as brake pads, and so on. Paperless DREs are like that. They need extra safeguards to compensate for the fundamental shortcoming of no ballot. And it is election officials and poll workers that work hard to make that bike level and smooth. they are all absolutely needed to compensate for the major shortcomings of DREs, especially paperless. I’ve seen this firsthand, as a poll worker before CA decertified its voting machines, developed safeguards sufficient for the deficiencies found in the “Top to Bottom Review”, and re-certified with the proviso that each county needed to demonstrate adequate staff and poll worker training to operate the systems with all the required safeguards. The re-training was intense, and the additional work on election night was easily an hour or more per precinct on election day, and night, alone. We had new tamper-evident seals (TES) on every part of the DREs, check sheets for every step in set-up and tear-down, bags for each of several kinds of evidence, a TES-sealed bag of TESs to apply the bags at the end of the day, double-sign-off sheets, new rules for ballot reconciliation, new procedures for physical chain of custody of pretty much everything. And that was the tip of the iceberg, considering what the election officials and their temp staff had to do to set all this up, plus the back-office safeguards that the public doesn’t see. For the ultra-geeks, I’ll provide a specific couple examples later, explaining why each bit of extra work is necessary — but I hope you get the idea here. Another way of putting this is that with today’s DREs the technology platform has deficiencies that require a complex set of safeguards by people and process. Those two “P’s” are always required, but can get hairy when the 3rd “P”, the platform, wasn’t designed with self-protections that create a reasonable amount of activity from people and process. Sure, there is a risk to the platform being compromised (or malfunction unnoticed) if the people don’t do the process adequately. We had that risk for years, with election tech that’s worse that we have now, and we still had election verification – just with a really vexing amount of work, both for the protection, and the oversight that it was done properly. And that’s part of the 4th “P”, policies, including the policy that the public must be able to verify the first 3 “P”s as part of the election outcome. The procedures, and documentation of their performance, are both essential. It’s not enough to do the extra work to implement the safeguards required by the platform. Election officials must also prove that they did so, by following policies on documentation and record keeping. The election outcome is an important concept here. Election outcome is not just the election results, the vote counts, who won, who lost. It is that plus all the evidence that the election was performed well enough to have confidence in the result. That’s the ultimate purpose of elections – a result that’s believable and does not create an impediment to the ordinary transfer of power. What we can see in this campaign of 2016 is the greater threat to election integrity – the 5th “P” of politics. This election is politically unique with the campaigns’ messaging on “rigging”, on cyber-risk to elections, on cyber-operations against campaigns and parties, and even foreign government influence. It’s hard to be sure amidst all the rhetoric, but it sure looks like there is a higher risk of a situation where Federal election results aren’t enough, and the “prove that you ran the election right” demand might be placed on election officials in an unprecedented way that is far more public and adversarial than the usual and relatively gentlemanly activity of election law, litigation, recounts, and so on. The Minnesota Senate Al Franken Norm Coleman fracas could look positively quaint by comparison. As a result, there’s the possibility of far higher stakes for the people and process to generate the evidence that proves that the election results are legitimate. The preparation for, and, heaven forbid, the execution of that proof, will be even more work than usual. Preparation could be huge, both literally in terms of work, and figuratively in terms of importance. When you possibly have an election where the second place candidate says, “prove that these are the exactly correct vote totals”, you can never do that regardless of the election technology, including ancient Greek marbles and jars. That’s why “rigging” rhetoric will always be attractive. But you can prove that all the required protective measures were done, and that there is no reasonable doubt about the result as supported by the technology. In jurisdictions with op-scanned paper ballots and documented chain of custody, the proof is relatively simple: here’s why we know that these are the legitimate paper ballots; we did a manual ballot audit and found no significant discrepancy with the machine counts. Done. But here’s the bummer for election officials in all the paperless jurisdictions: there is more work to do. They need to prove that there is no reasonable doubt that the DREs accurately recorded each voter’s intent; and recorded the votes properly as tally datasets on removable media; and the that media used in tabulation were those same media; and the data on the media was not modified en route from polling place to election result. The proof, in other words, is complicated. Collecting that proof is more work, and yields much more complex records, but it is not mysterious. Election officials have been doing this for years. But the complexity is an inherent vulnerability. The complexity makes it easy to have political rhetoric that points fingers at the many places it could have gone wrong, casts doubt on the proof. And it could be very effective FUD, if the proof is more complex than the public at large is willing or able to digest. The risk is essentially equal for all the paperless jurisdictions, not jut the ones that the campaigns are currently pointing to, and the media scrutinizing. They all have tech with the same shortcomings and vulnerabilities, and the same extra work to implement safeguards to compensate. With this voting technology, you have to work even harder prepare to respond to claims of rigging, and even if you do a great job, it could still get ugly because of the complexity. I don’t worry so much about the jurisdictions currently in the limelight (or hotseat) because the very limelight itself provides a great incentive to properly prepare and execute. In the so-called battleground states, the state election leadership understands the issues, and the local election officials on the ground have the experience. Where I really worry is around the edges Perhaps if FL turns out to be the narrowest-margin state, and we see a repeat of a county’s previous breakdown in physical chain of custody. Or perhaps if GA turns out to be closer than anybody would every have expected a year ago, and election officials did not prepare as carefully to defend against claims of “rigging”. That’s what we face in this election, and I say “never again”. We can replace all the aging-out voting systems, paperless and otherwise, with far better platform that requires reasonable efforts from people to implement processes that create comprehensible proof, enabling meaningful policies of public oversight that much less vulnerable to the politics of fear, uncertainty and doubt.